My day-trading journey began after I purchased a stock trading course. I followed the course outline and traded stocks in hopes of cashing in on the roaring 90's. When the stock market corrected in 2000, I could not pay the continuous marginals and consequently lost all my money, approx $ 200K! About 5 years later, I was ready to jump back in the game. This time trading Foreign currencies, the largest trading market in the world. I purchased the 4XMade Easy software (with the green and red arrows) for a heft three grand. In addition I paid a monthly live feed and demo traded for over 2 years but could never foresee with any degree of accuracy the direction of the market. As a result, I ended up on the wrong side of the trade at a loss. The smart trader does not focus on trying to be perfect, he focuses on the odds and uses a simple system. Simple systems work better than complex ones, because they have fewer elements to break. The successful trader accepts he will have a lot of losses (even the best traders do) but he keeps his losses small and runs his profits. The real key to winning at Forex trading is to accept the market is all powerful and right and not arguable with it which most traders do. When they wrong they run their losses and hope they turn around and get wiped. These traders are also obsessed with predicting the exact low of the market and are really hiring or guessing whereas the smart trader waits for the trend to be confirmed before getting on board. 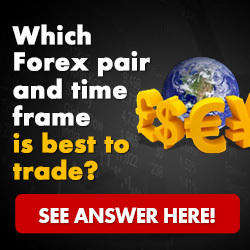 If you want to win at FX trading accept Forex trading success is simply about trading the odds and while you may not win every trade but if you use a simple system, keep your losses under control and run your profits you can make huge gains – it really is that simple.